SavingsPinay’s first eBook attempt is DONE, Register for a copy NOW! If you remember my 2014 SavingsPinay Reader Survey, I asked whether what topic of an eBook would you like to receive from yours truly. I got a favorable response for Tips and Tricks for A New and Improved Life so from then I slowly started drafting the contents. As this is my first attempt to write something more than an ordinary blog post, I felt like it will be good to release a brief and manageable amount of information that one could read in a few minutes. The downloadable eBook is just 25 pages. The design is minimalistic, photos only exists on the latter part of the eBook. The tone is conversational with even Tagalog sentences to further reach the Filipino readership. The Title is Making 2015 Your Best Year Ever (SavingsPinay’s Tips and Tricks for a New and Improved Life). Rely on people who appreciates my writing skills. I made two of my office-mates read excerpts of the manuscript. Thankfully, they find the book good to read. If you are already in my email list then you will surely get this book in your inbox on Friday, November 21. 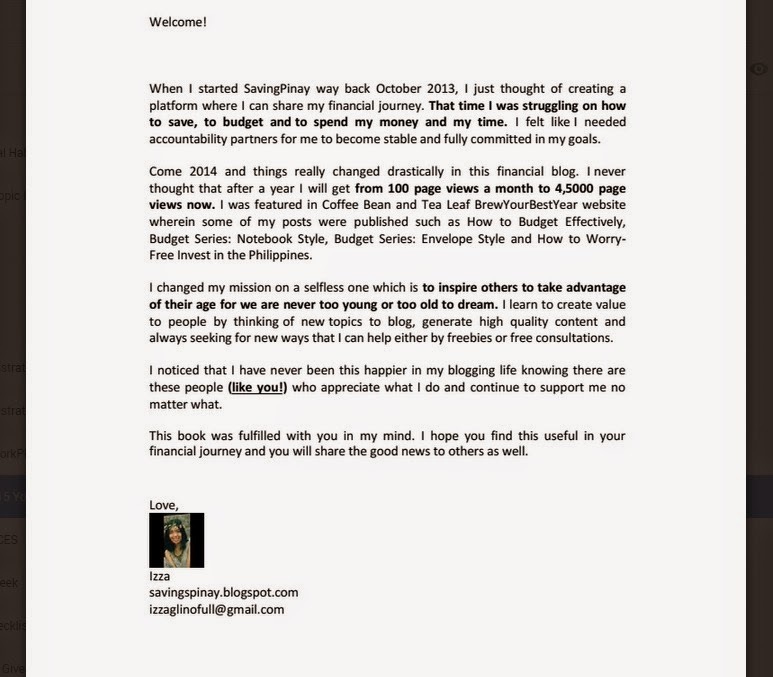 For Facebook, Twitter and Youtube followers, please do send me your email address at izzaglinofull@gmail.com so I can reply back with the copy on or before November 30. After November 30, I will create a Downloadable Link to the eBook on this blog. The eBook is FREE. Along with the eBook, I also created templates that could help boost your productivity. A To-Do Template that you can reproduce daily and will help you manage your daily tasks. 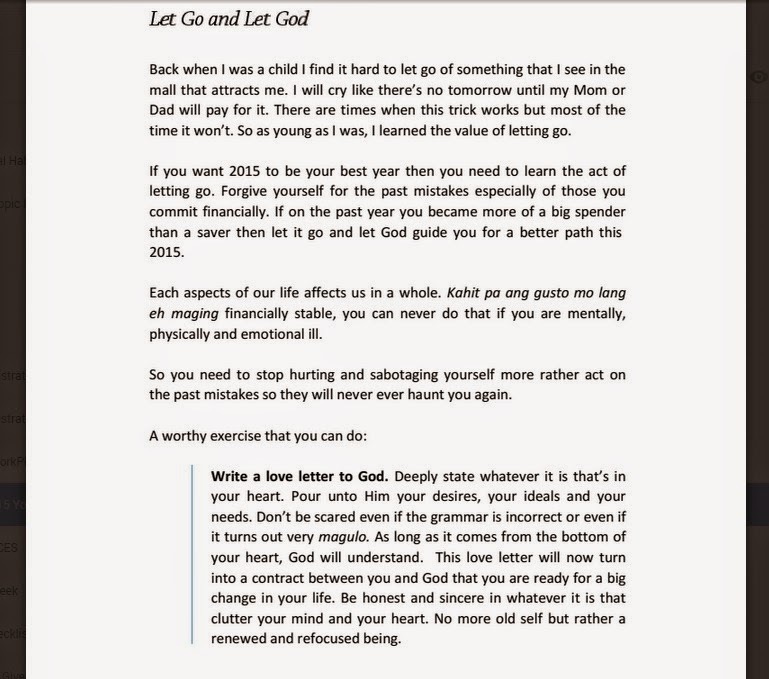 A Devotional Journal Entry Template that you can use as a form of daily diary to give you firm faith and help you have clarity over the things that maters the most. Best Year Ever Templates TOO!! !